The upkeep of your property and premises - be it of a commercial nature or domestic - can be a time-consuming headache and if done yourself, costly. 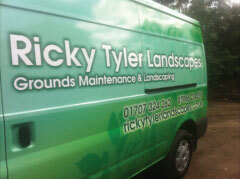 That’s why so many businesses and private customers in the Epping area are turning to Ricky Tyler Landscapes for help. 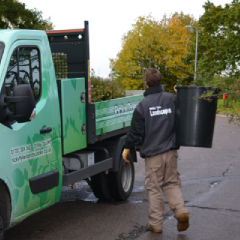 With 15 years’ experience of maintaining gardens and properties, we can speak with authority on how we can offer you a cost-effective service that we guarantee you will be thrilled with. We undertake every conceivable maintenance task you would expect from a gold-standard grounds maintenance company. We cover all business and commercial works like grounds maintenance and commercial landscaping, as well as domestic work such as garden maintenance, lawn care and turfing. But if you’re unsure about what you need doing or how we can help you, we are very happy to provide you with customised schedules based on what has been successful for similar establishments we have already worked with. Whether it’s a weekly or fortnightly service or a seasonal approach to tackling your gardens’ and grounds’ needs, we’re happy to give advice and draw up an appropriate programme of works. Many of our customers ask for our services on a regular basis, which ensures important seasonal tasks, such as marking of playgrounds and gritting, are undertaken when it is most appropriate for them to be done. We work with many schools and care homes, for whom security is paramount. As such, all of our operatives are thoroughly CRB checked as we prize your peace of mind as our priority. All of our staff wear smart uniforms and all of our vehicles are distinctively liveried, so you can rest easy when you see Ricky Tyler Landscapes’ presence in your area. In the Epping, Chigwell, Roydon and Theydon Bois area we work with customers old and new, from small-scale projects to ambitious large-scale landscaping ventures. One thing is certain - you will be thrilled with the results. Ricky Tyler Landscapes can provide gardening and grounds maintenance services including Epping Grounds Maintenance covering Epping , Essex .